As many of you guys know, Misty of The Book Rat is one of my good blogger friends. We share many loves outside of books, but one day last year as I was looking at her TBR, I realized that we had a lot of unread books in common. So we decided to do something about it. We have decided to read one book together every month. We are going to discuss the books on...wait for it...WEDNESDAYS! That said, let me point out the less obvious facets of this event. *The first Wednesday of every month, Misty and I are going to announce the book we plan to read together! How we choose will vary each month. Since this is our first month, we decided to choose amongst ourselves. *On the last Wednesday of each month, we'll wrap up conversations about the book, and figure out what the next month's book is. *We're going to have Twitter chats every month, and are still working out the times. Obviously, you can follow along with the hashtag #WednesdayYA! *Wednesdays in between, we'll be posting other fun things related to the book of choice. Misty is devoted to doing stuff every Wednesday. I'm not sure if I can keep up with that pace, but THERE WILL BE POSTS OF SOME KIND! *#WednesdayYA is meant to be laid back! Anyone who wants can join. Feel free to read with us or chat with us, even if you've already read the book. With housekeeping out of the way, let's discuss what we'll be reading this month! So join us! 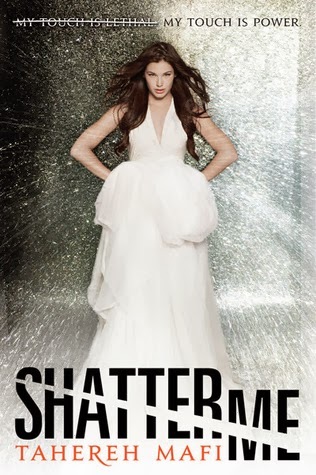 Grab a copy of Shatter Me to read and discuss with us. We're looking forward to seeing how everyone likes this book. I love this idea, I will keep a lookout for what you're reading and see if I can join in some months. 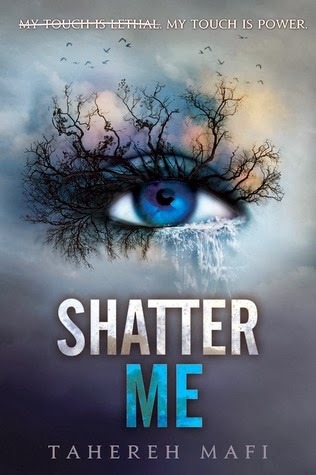 I've wanted to read Shatter Me for a while but sadly I don't think the timing will work out this month.